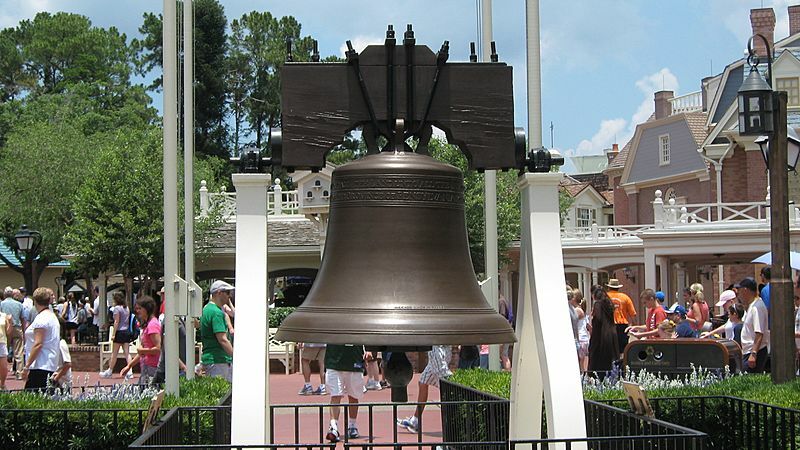 The Liberty Bell is an important and famous symbol of American independence (freedom). 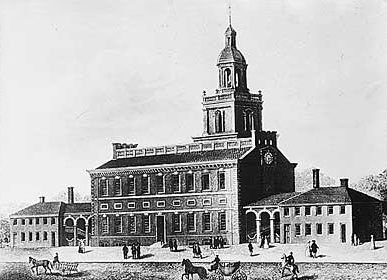 It used to be in the Pennsylvania State House (now known as Independence Hall). The bell was ordered from the London firm of Lester and Pack (which is known as the Whitechapel Bell Foundry today) in 1752. It had the letters "Proclaim LIBERTY throughout all the land unto all the inhabitants thereof." This was a part of Leviticus 25:10. It first cracked when it was first rung when it came to Philadelphia, and was made again twice by John Pass and John Stow, two workmen. When it was first made, the Liberty Bell was used to make lawmakers come to legislative meetings. It was also used to call people to public meetings. Bells were rung when the Declaration of Independence was read on July 8, 1776. 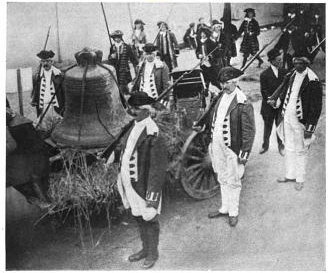 While there is no record that the Liberty Bell was rung, most historians believe it was rung with the other bells. In the 1830's, the bell was used as a symbol by abolitionist societies, who called it the "Liberty Bell". 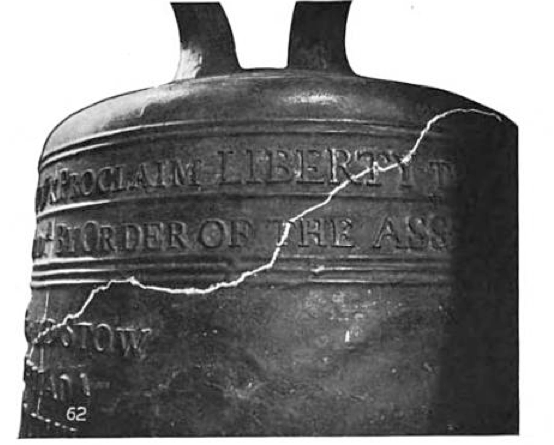 The bell got its large, well-known crack in the early 19th century. One story claims it was cracked while ringing after Chief Justice John Marshall died in 1835. 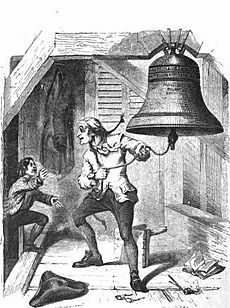 The bell became widely famous after a short story in 1847 claimed that an old bell-ringer rang it on July 4, 1776, after hearing the Second Continental Congress's vote for independence. Actually, the bell could not have been rung on that Fourth of July, because no announcement of the Declaration was made that day. However, many people believed this story. Even some historians accepted it as a fact. 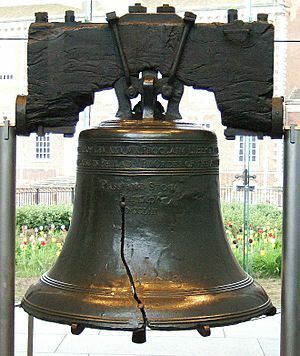 From the 1885, the City of Philadelphia, which owned the bell, allowed it to go to many different patriotic meetings. Many people came to see the bell, and it grew even more cracked. Pieces were broken off by souvenir hunters. The last such journey was in 1915. After that, the city refused any more requests of that kind. Liberty Bell Facts for Kids. Kiddle Encyclopedia.